Zindagi ki kahani is a heart broken urdu poetry. It depicts the feeling of disappointment. Two lovers who couldn’t be one. Separation was their fate. There’s just tears and repenting in their lives. 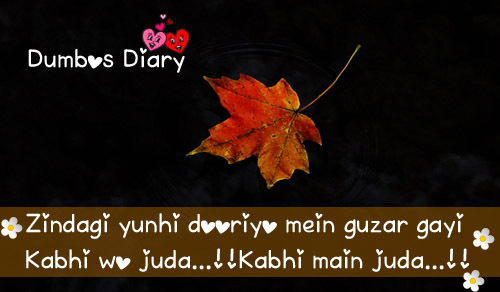 Here the edited images of this Heart broken poetry (Zindagi ki kahani). Hope you would like it and share your feedback with us.